The opening of Bradford’s new £260 million shopping centre has moved a step closer, with the build and construction phase of all retailer units now completed and handed over for fit out. With less than 50 days to go until the doors of The Broadway Bradford are opened to shoppers for the first time, retailers across the centre including anchor tenants, M&S and Debenhams, are now on site working on the store interiors ready for opening on 5 November. The Broadway is more than 80% let with leading department and fashion stores, including anchors Marks and Spencer and Debenhams, and high street fashion favourites Superdry, H&M, Next, Topshop, Topman, New Look, Schuh and River Island. 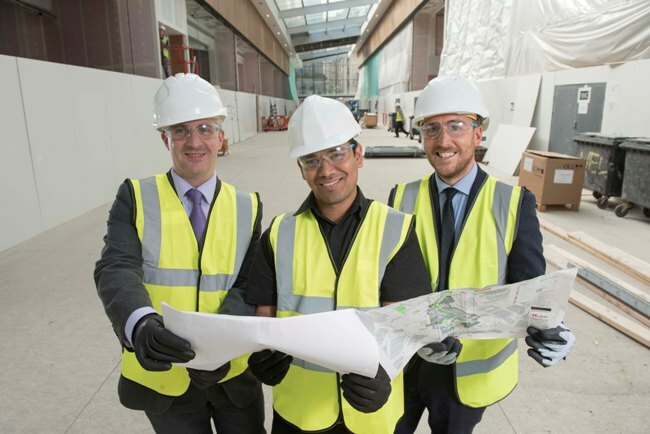 At 570,000 sq ft, The Broadway will be the largest UK retail centre to open in 2015 and will create 2,500 new retail jobs. Myf Ryan, Westfield director of Marketing, said: “Today marks a significant step forwards for The Broadway as we handover the units to our retailers. Bradford Council Leader, Coun David Green, said: “The excitement is mounting as it really isn’t long now to the grand opening on November 5 and it’s good to hear that the retailers are now fitting out their stores and preparing for the big day.